To ensure Rubix Shuttles and Transfers is the No. 1 preferred choice for shuttle and transfer services for school, corporate, events, sports, leisure and social transfers through our quality, innovative and exemplary transport service. To offer safe, reliable and consistent transport for students and the public as a whole. Our staff will all have good relationships with every customer and will collaborate at every turn to ensure our customers receive a personalised experience every time they utilise our service. Rubix Shuttles and Transfers core values are safety, reliability and respect . We achieve this through communication, action, service and growth to ensure we meet our clients needs and requirements while remaining true to our values, vision and mission. 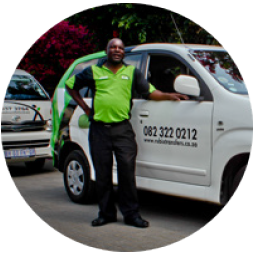 Rubix Shuttles and Transfers offers a variety of services within Bryanston, Fairways, Midrand, Parts of Randburg and Northriding. 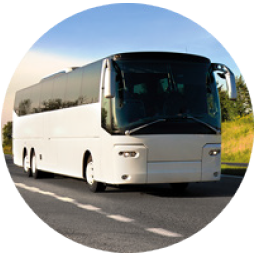 The services offered are shuttle-based school transportation as well as corporate, social, leisure and event transfers. We cater for both small and large groups. Rubix Shuttles and Transfers offers structure coupled with flexibility to allow its clients to choose a solution that best matches their needs. 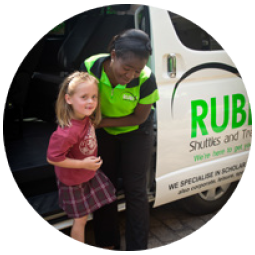 Currently Rubix Shuttles and Transfers is operational in the Central and Northern suburbs of Johannesburg, & Midrand and endeavours to expand into South Africa. Safety – Safety of our customers is our # 1 priority. Reliability –Reliable transport ensures continuous use of our services. Respect – We value people and seek to understand and appreciate each person’s contribution. We seek to build high trust relationships. Integrity – We honor our commitments to others. We are ethical, honest and fair in our business affairs. Communication – We share useful information timeously, openly, and honestly. We listen attentively and consider all points of view. Teamwork – We collaborate with and are accountable to one another. We strive to achieve the most for the collective good of all. Action – We take action, meet challenges, and find solutions. We are creative and innovative. Service – We honor our customers and franchisees by providing timeously, accurate, and complete service and support. We strive to exceed their expectations and create opportunities for success. Growth – We continually learn and improve ourselves to ensure greater opportunities, successes, and rewards for the entire Rubix Shuttles and Transfers network. We will grow and strengthen our brand presence domestically through planned strategies that ensure success for our franchisees and our brand. All staff are hand picked following a comprehensive selection process including physiological tests, experience related reference checking. 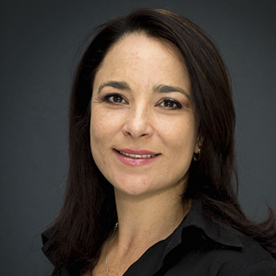 Benita brings over fifteen years of valuable industry-related experience to Rubix Shuttles and Transfers. With hands-on exposure in processes involving technology development and problem solving, Benita’s core speciality is staff development and training geared to guarantee top quality service and customer satisfaction. 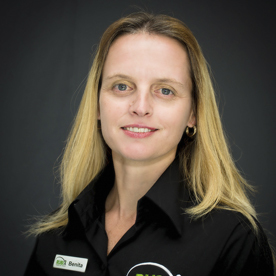 Sharon brings over sixteen years of industry-related sales and operational management experience to Rubix Shuttles and Transfers. Recognised through various awards, Sharon believes in making a difference in everything she is involved in. Sharon is relationship driven and her biggest strength is her people skills. For more information about our shuttle and transfers services, please contact us or fill in our online enquiry form.